The beaches in Thailand are considered to be one of the best international tourist destinations and almost every city in the country has one or more beaches, that are its sole attraction. With the growing tourism it can get a bit hard to find a quite spot to relax on the beaches, so here is a list of some hidden beaches where you can experience nature untouched. A small island that is situated at a distance of around 20 kilometers from Trang province, its beauty is simply breathtaking and serene. A relatively lesser explored destination in Thailand, Ko Lao Liang is the perfect combination of peace, nature and a little bit of adventure sports. Possibly the best example of nature as it is, no trees have been cut down and neither has anything been altered. Everything that meets the eye seemingly blends in with the natural background. 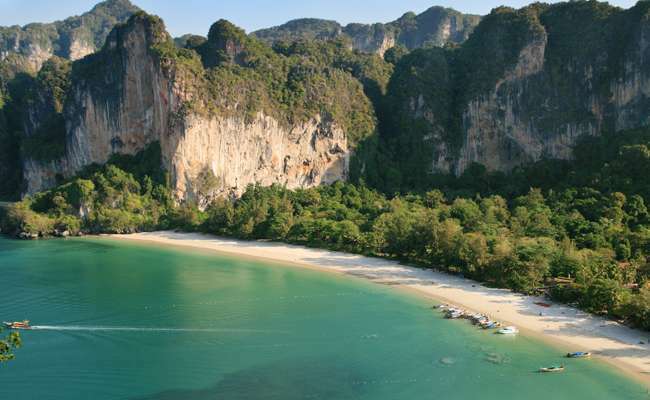 Ko Lao Liang is a picturesque paradise with quiet beaches, limestone cliffs, white sand and clear blue waters. Set along Phuket’s rocky shores lies the splendid Nai Harn beach. Relatively popular among the locals but unknown to most of the tourists, Nai Harn is an almost white beach, from the sand to the waters everything is clear white. If you prefer to sun bathe rather than enjoying in the waters, then its a must visit as the beach seriously lacks in shade. 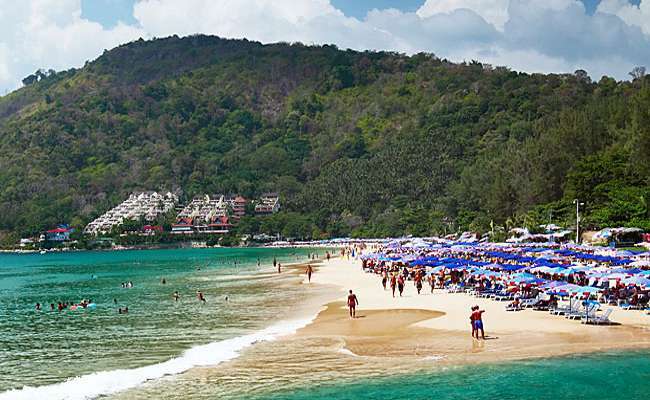 The beach is divided into three parts the first being the beach, a small village and lastly the town of Nai Harn. It is in the town that you can find bars and restaurants along with accommodations to enjoy a stay here. Improbable landscapes in the South of Thailand reach its peak in Railay Beach. Here are limestone walls arising directly from a sea with colors of gemstone; emerald, turquoise and aquamarine depending on the time of day. 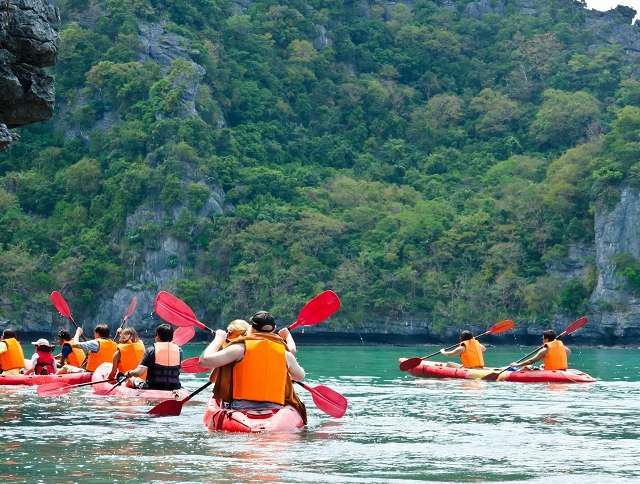 There is an abundance of adventure sports which you can indulge in and the options are simply endless – diving, rock climbing, snorkeling, white water rafting, quad biking, kayaking and trekking; all these are just some of the options available. Skip all the famous beaches of Thailand and experience these captivating beaches which are unexplored by the masses. Hurry up, you don’t want to miss the chance of witnessing nature in its full glory.